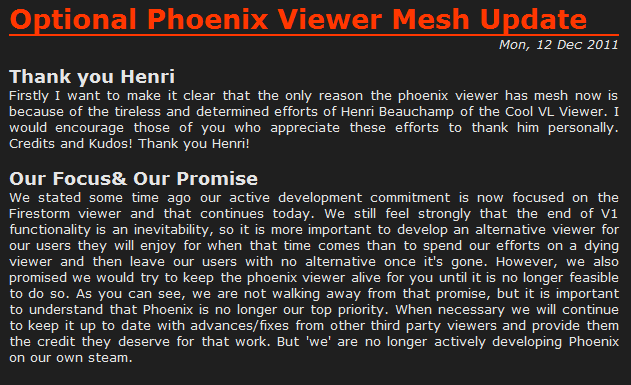 Phoenix viewer with mesh support is here! I would like to congratulate all of you and my most infinite thanks for this version of phoenix and I know that all of you have worked very hard to bring this. To all of you thanks a lot! This entry was posted in Old Post on December 12, 2011 by Xpontaneus.